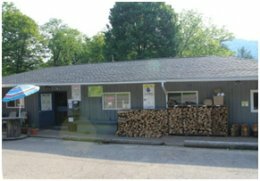 Paul’s Trading Post on 11124 Route 321 in Kane is a licensed facility for your Angler Award. Here you will find everything you need for a great fishing trip: fishing line reel, respooling, live bait, lures, and hooks. You can also purchase ammo, clothing, groceries, hoagies, and Tillamook Jerky. 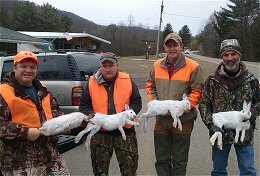 For your hunting needs Paul’s Trading Post offers West Winn Whitetails & Scents, trapping items, archery and muzzleloader supplies. You can also purchase your fishing and hunting licenses here. Paul’s Trading Post also offers cabin rentals, and canoe and kayak rentals if you want to enjoy a sunny day on the reservoir. If you can’t make it during business hours take advantage of their 24 hours self-serve fire wood and bait station. Year-round with seasonally shorter hours.